I don't know if this is a quilt block that has been around for a while or it was created for the newest royal baby -- Princess Charlotte. I know I had never seen it before. 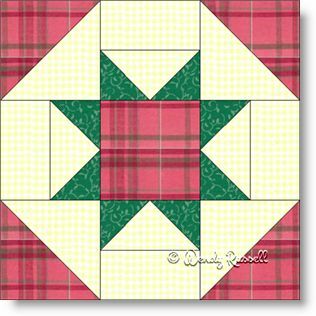 I like this nine patch block for its possibilities when you arrange it in your quilt, and also because it is an easy quilt block to sew. It contains easy shapes to work with and the two most common patches used in quilts -- the half square triangle and one of my favourites, the flying geese unit. The sample quilts illustrated are quite different in how they present themselves, and I was quite happy with the result.